Denne model er 178 cm og bruger en størrelse S. Brystet måler 86 cm og taljen 61 cm. This women's training hoodie is the perfect layering piece as you head to the gym. 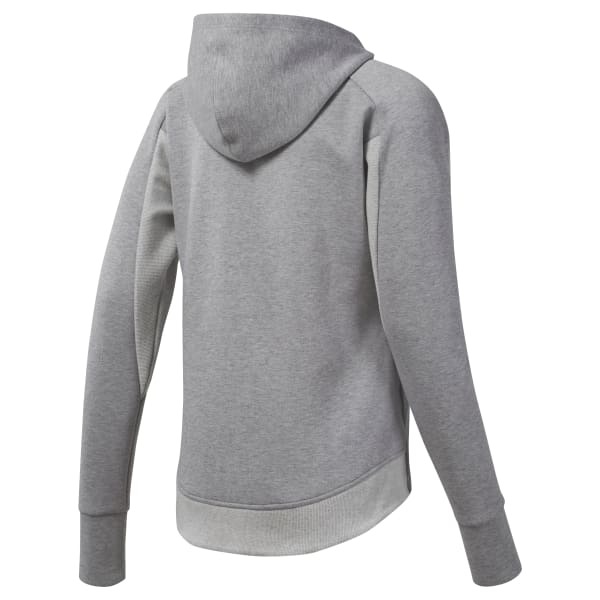 The soft cotton blend sweatshirt has ribbed details and an inner collar. It's cut in a slim fit with a dropped hem for extra coverage.